The Center for NAFTA Studies acquaints students and faculty with issues surrounding international trade and commerce, particularly those issues concerning the North American Free Trade Agreement and its effects on investment, trade, government and business decisions in the North Texas region. The Center for Quality and Productivity integrates the resources and expertise of faculty and students with those of industry and government to determine effective strategies to increase quality and productivity. 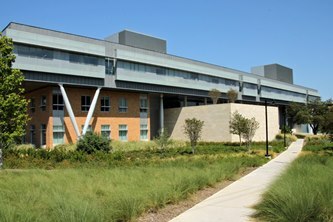 The Information Systems Research Center is a partnership between UNT and other organizations, which focuses on key information technology management, education and research issues. The Institute of Petroleum Accounting was established in 1980 to assist in the educational development and active involvement in educational programs related to the extractive industries. Murphy Enterprise Center provides students, faculty, and entrepreneurs the opportunity to exchange ideas, build entrepreneurial skills and engage in joint entrepreneurial efforts. The Professional Leadership Program prepares students for leadership by fostering qualities of integrity, objectivity, honesty, competency, loyalty and creativity while encouraging the students to be visionaries who lead themselves and others to action. The Texas Logistics Education Foundation Center for Logistics Education and Research establishes a partnership between businesses and the academic community designed to advance the study and practice of logistics and supply chain management in Texas, nationally and globally. Brent Ryan - Owner of Ryan & Co.
Want more info about University of North Texas at Dallas? Get free advice from education experts and Noodle community members.